Three different class-action lawsuits have been filed by customers unhappy at how Intel handled their security. 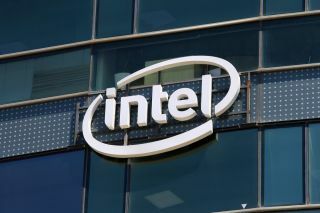 Following the revelation that much of Intel's processor family are susceptible to the Meltdown malware, the company is now facing a number of class-action lawsuits, in three different states in the US. According to The Register three lawsuits, filed in San Francisco, Eugene and Indianapolis, have accused Intel of deceptive practices, breach of implied warrant, negligence, unfair competition and unjust enrichment. The lawsuits argue that Intel misled the consumers by failing to announce the security hole, as well as failing to disclose potential performance issues that could arise after a patch. The meltdown vulnerability, which also affected hardware from AMD, ARM and Qualcomm, allowed malicious actors to gain access to the users’ sensitive data, such as passwords. "The defect renders the Intel x86-64x CPUs unfit for their intended use and purpose," the complaints read. "In essence, Intel x86-64x CPU owners are left with the unappealing choice of either purchasing a new processor or computer containing a CPU that does not contain the Defect, or continuing to use a computer with massive security vulnerabilities or one with significant performance degradation." While the complaints are seeking damages, Intel is quiet on the matter, declining any comment. The company cited a policy against speaking on pending litigation.